Elegance and Innovation guided by experience and passion. 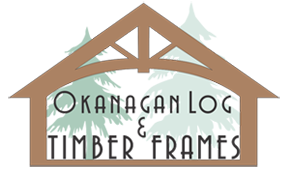 Okanagan Log & Timber Frames Ltd. Is a Canadian timber frame company specializing in the timeless art of timber frame construction. We are proud to provide our clients with full architectural services, engineering, timber frame cutting and raising. At Okanagan Log & Timber Frames Ltd. we also design, supply, manufacture and install full envelope systems which may include: conventional, High R Value, or Green wall and Roof systems custom tailored for your specific project.